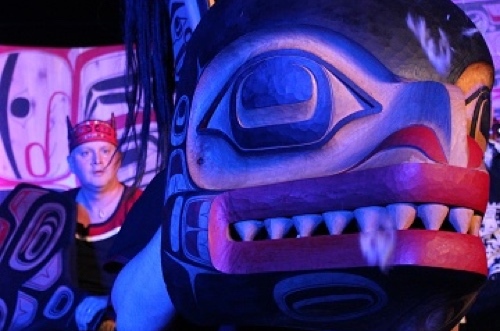 The Dancers of Damelahamid produce the annual Coastal First Nations Dance Festival in partnership with the UBC Museum of Anthropology in Vancouver, Friday March 3 and Saturday March 4, 2017 at 7:30 PM. The Festival is a celebration of the stories, songs and dances of the Indigenous peoples of the northwest coast of North America. The festival presents the rich cultural traditions practiced by dance groups from British Columbia, the Yukon, Alaska and Washington State as well as guest international artists and demonstrates that these traditions are very much alive, vibrant and relevant today.